They were surprised by your definition of apostle being so broad. I was quite surprised by this resistance to how you presented it in your material. I really didn’t have anything to answer other than this is how you had chose to tackle the subject. Pretty sure this is not what you expected … but I promised them I would pass their questions along and see what you said about it. (1) The word “apostle” comes from the Greek word “apostolos,” which means “one sent [with a specific mission].” It is said in many Bible dictionaries that by the time the New Testament was written, this word had taken on the sense of an emissary, a delegate for someone else. God inspired the writers of the New Testament to use this word, in its many forms (noun, verb, singular, plural, etc.) to describe the fourteen men we consider to be “Apostles” (i.e., the original twelve plus Matthias and Paul). However, this exact same Greek word is used in other places in the New Testament to describe people who weren’t of that number. Since God inspired men to use this word to describe more than just the official “Apostles,” then we shouldn’t be afraid to acknowledge that He used it in a broader sense than we’re used to. A person deputed to execute some important business; but appropriately, a disciple of Christ commissioned to preach the gospel. Twelve persons were selected by Christ for this purpose; and Judas, one of the number, proving an apostate, his place was supplied by Matthias. Acts 1. The title of apostle is applied to Christ himself, Heb 3. In the primitive ages of the church, other ministers were called apostles, Rom 16; as were persons sent to carry alms from one church to another, Phil 2. This title was also given to persons who first planted the Christian faith. Thus Dionysius of Corinth is called the apostle of France; and the Jesuit Missionaries are called apostles. Among the Jews, the title was given to officers who were sent into distant provinces, as visitors or commissioners, to see the laws observed. Apostle. (one sent forth). In the New Testament, originally the official name of those twelve of the disciples whom Jesus chose to send forth first to preach the gospel and to be with him during the course of his ministry on earth. The word also appears to have been used in a non-official sense to designate a much wider circle of Christian messengers and teachers. See 2 Cor. 8:23; Phil. 2:25. “Apostle” is used in a vaguer sense of “messengers of the churches” (2 Cor. 8:23; Phil. 2:25). A similar case exists with the word “elder.” There is a difference between someone who holds the title/office of “elder” in the church, and someone who is just an “elder” — an older person (as in 1 Tim 5:1-2). (3) If we wish to use Bible words in the way the Bible uses them, then we could say that a missionary sent out by the congregation is an “apostle” of that congregation–but given the way denominations have twisted and tortured the word in applying it to offices within their ranks, as well as the exclusive way we’ve traditionally used “apostle” to refer only to the twelve and Paul, it wouldn’t be very expedient to do that; in fact, it would be downright confusing. 1. Didn’t an apostle have to see Jesus, like is says when Matthias was chosen? In order to hold the office of an apostle, to be one of the specific twelve men that Jesus chose to be his miracle-working and miracle-giving representatives to the world, then yes, absolutely he had to see Jesus. But this was not a requirement for someone to be called an “apostle” in the general sense of the word. 2. I thought being an apostle meant you could do miracles and give the ability to do the miraculous to others? That is 100% true, so long as we are talking about the office or title of “apostle,” which was only held by fourteen men (the twelve, plus Matthias, plus Paul). There are other men who were called “apostles” in a general sense (Barnabas was called an apostle in Acts 14:14), but who are distinguished from those who held the office of an “apostle” (Barnabas was not a member of “THE apostles,” Acts 4:36, 9:27). 3. Using his definition, is there even a difference between disciple and apostle? Or is it Apostle and apostle? A disciple is a follower, and a learner from someone else. An apostle (in the general sense of the word) is someone who is sent away with a mission from someone else. Not all disciples of Jesus were mature enough or trusted enough to be sent by Him as His delegate. Even when the Bible speaks of Epaphroditus, who Paul calls “your messenger” (the Greek word is apostolos), it shows that he was someone who was mature and trusted by the congregation to be sent on their behalf to help Paul. So, there is a difference between disciple and apostle. I think that the second half of the question really gets the emphasis: Apostle (as a proper name, a title, the name of an office in the first-century church) is something describing the “twelve” and Paul; apostle is the general sense of the word, meaning anyone who was sent away with a specific mission. 5. Aren’t we all apostles then, because we all have a message to take from Jesus himself: the gospel? The idea of an “apostle” is that a person is sent away from somewhere. The men called “apostles” in the Bible (in either the general sense or the specific sense of the twelve plus Paul) all left their homes and went somewhere else to carry out the mission in other cities or areas. Jesus (called an apostle in Hebrews) left heaven and came to earth. Paul left Tarsus and Jerusalem and traveled the whole Roman Empire. Peter preached in many places within Jerusalem, Judea, and Samaria. John did the same thing, as well as spreading God’s word from Patmos (an island west of Asia Minor). We’re not given the travels of the other apostles in the Scriptures, but they all stayed in Jerusalem for a time, which was not their home–they were all from Galilee (see Acts 2). So, in answer to the question, while we have been given a message to spread, the gospel, we haven’t been called to leave our home behind and personally go and take the gospel to other lands. We are not apostles in either sense of the word. In conclusion, there are THE apostles (the twelve plus Paul) and then there are “apostles” in the general sense of the word. The purpose of the material I’ve written is to look at the Christians whom God saw fit to call “apostles” (apostolos) in the Bible. We first look at the ones who are not part of THE apostles (though they all almost certainly were able to perform miracles after having hands laid on them by one of the twelve or Paul). Then we look at the “Twelve” (including Matthias), and finally, Paul. If you have any specific questions or desire clarification on a specific point, feel free to email me or send a question through __________ and he will get it to me. I will answer it as promptly (and with biblical support) as I can. Is the Lord’s Supper the most important part of worship? Question: Is the Lord’s Supper more important than the other actions in the worship service? –B.C., Indiana. Thanks for the question. There are many sincere brethren who believe that the Lord’s Supper is the central element of our worship, and there are many other sincere brethren who believe it is exactly of equal importance with the other areas of worship and dedication to God that take place in the assembly. But the question is this: What does the Bible say? First, notice Acts 20:7. The apostle Paul had spent a full week in Troas just so he could assemble with the saints on the Lord’s Day. But Luke describes the assembly this way: “The disciples came together on the first day of the week to break bread.” This isn’t talking about a common meal. Paul could have had a common meal with the saints any day of the week. Especially consider that during Paul’s time, Sundays were work days. This verse is a reference, not to a regular meal, but to the Lord’s Supper. According to Luke, the inspired historian and writer of Acts, the main reason the disciples came together was to take the Lord’s Supper. Was it the only reason? Of course not. Paul preached to them all night long, and though the text doesn’t say it, we can safely surmise that they also sang and prayed as well. The inspired apostle Paul told the Christians in Corinth that they were sinning, coming together for the worse, because their coming together wasn’t to eat the Lord’s Supper. Sure, they literally ate the unleavened bread and drank the fruit of the vine, but they didn’t treat it as the sacred, Jesus-instituted meal that it was meant to be. Other passages in the same book show us that they also prayed and sang when they came together, as well as exhorted and instructed one another with preaching (see chapter 14). The Lord’s Supper was not the only reason they were to come together, to be certain. But Paul uses soul-condemning language in regards to their lack of focus on the Lord’s Supper (see 11:29), but doesn’t use that language when talking about their improper singing and speaking in the assembly. Third, the Lord’s Supper is the only part of the assembly that was actually ordained specifically by Jesus Christ. Think about it for a moment: singing, praying, preaching, and giving were all things done throughout the Old Testament. But the Passover was a special event, one with great depth of meaning; one that was a memorial of what God had done for Israel; one that held a place of prominence over the regular temple worship. In the same way, the Lord’s Supper is a special event; one with great depth of meaning; one that is a memorial of what God (through Jesus Christ) has done for us. It is given prominence by God through His inspired writers. It is the part of worship that Jesus Himself commanded His followers to practice to remember Him and His death. Don’t misunderstand me. Singing and praying, preaching and giving, they are all commanded by God, and are therefore important. But there is a focus, an emphasis given to the Lord’s Supper that puts it above the rest. 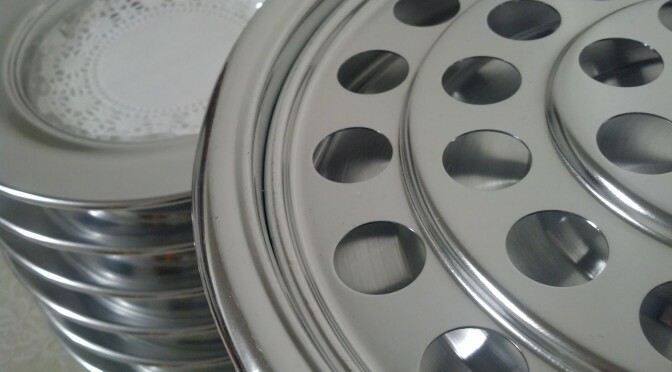 Christians have been done a disservice by hearing preachers, elders, and members talk of the Lord’s Supper as “an important part, but not the most important part of our worship.” The Lord’s Supper has been relegated to a five-minute snack with little to no spiritual reflection offered by the ones serving at the Lord’s table. If you were to ask most Christians what they remembered about the worship period last Sunday, they’d probably tell you about the sermon, perhaps the song leading, and maybe a prayer that stuck out in their mind. The Lord’s Supper was the primary reason the early church gathered together. Don’t you think it’s time we got back to doing that? Are Preaching Schools authorized in the Bible? Should a church be paying teachers there and/or paying students to go to school? Thank you in advance for your thoughts on this.—James D.
Thanks for writing. In order to discover the answer to your question, we need to go to the Scripture and notice certain things. We must also keep in mind that if God gives a command, but doesn’t tell us how we are to carry it out, then the how is left to our own judgment (so long as it doesn’t violate another command of God). For example, Jesus said to “go teach all nations.” He said to go and to teach, but He didn’t say how we were to go—it could be on foot, by car, airplane, by horse, etc… He also didn’t say how we were to teach all nations—it could be in person, via correspondence courses, books, DVDs, television/radio, over the phone, etc… This is an important principle to keep in mind as we look at this question. First, the command to teach men is found in 2 Timothy 2:2. This is Timothy teaching men (plural). Paul doesn’t say, “teach men in your house.” He doesn’t say, “Teach them at the church building.” He says simply to teach them. The specifics (time, place, length, setting, etc…) are not given, thus Timothy had liberty to do the teaching where and when he saw fit. If Timothy had set up his own “School of Preaching,” he would have not added nor taken away from the command given, nor would he have violated it at all—it would simply have been an expedient to obey the command to teach men. We, therefore, have Scriptural authority for an individual Christian teaching others in whatever way is deemed expedient. But what about a congregation? After all (in case you are unaware), every school of preaching is the work of a specific congregation. The purpose of a “school of preaching” is to build up Christians so that they will be able to go out and teach others (see Hebrews 5:12). This is something to be done individually (II Timothy 4:2) but also collectively as a congregation (Ephesians 4:12, 16). The specifics of where, what time, setting, etc… are not given, and thus the HOW of the “building up” of the saints, helping them to grow as they are taught, is a matter of opinion/expediency. These above things being true, a congregation can set up a school of preaching to teach men, and they have not violated any command of the Scriptures. Second, regarding the funding aspect—The apostle Paul received financial aid from several congregations in order for him to preach the gospel to the lost, but also to help Christians become grounded in the faith and to be prepared to teach others. Thus we have a divinely approved example of a preacher/teacher being supported by other congregations while he works to build up the saints. The ones being taught in a preacher training school are saints, thus it follows this divinely approved example. Third, regarding supporting students—you’re not paying them to go to school. That is a misnomer. You’re sending money so that they can live WHILE going to school. Several congregations gathered money and sent it to the poor saints in Jerusalem so that they could live. This money was collected by one trustworthy person who wasn’t a part of their congregations, and taken to be left with the church in Jerusalem for the elders there to disperse as needed. If it is permissible—and even commanded—for congregations to send money to help Christians who needed it to be able to eat and live, then it is permissible to do the exact same thing for Christians today who have dedicated themselves to the study and spread of God’s word. Though some people are opposed to the idea of preaching schools, the Bible gives authority for these works to exist. Bible Q&A – Non-Created Things? Question: The Bible says that Jesus made everything that was created. Does that mean that there are things that exist which weren’t created? – J.C., Oklahoma. First, I want to thank you for taking the time to write to us. It means a lot and we appreciate it. In the beginning was the Word [Jesus, see verse 14], and the Word was with God, and the word was God. The same was in the beginning with God. All things were made by Him, and without Him [there] was not anything made that was made. This passage is very explicit. If something/someone was created, Jesus is the one who created it. ZERO exceptions. The Bible also teaches that there are things which exist that were not created. That means there are things which exist that are eternal. They have no beginning. The first one that probably pops in your mind is God. God is eternal, with no beginning. He was not created. His very name Jehovah means “the ever existing one.” The Scriptures teach us that God is the one who created the heavens and the earth (Genesis 1:1, Job 38:4). He is the Creator, not the creation. Because of what John says about Jesus (see the verses above), we can know with 100% certainty that Jesus was not created, for He created everything that was created. If, as some people claim, Jesus was created, then the Scriptures make no sense by claiming that Jesus created Himself. That is an absolute absurdity. Jesus is eternal. Because the Holy Spirit is also “God,” or a part of the Godhead, we can know that He is also eternal. He was present before God said “let there be light” (see Genesis 1:2-3), and therefore existed before creation took place. Are there other things/beings that might fall under the “not-created” category? There are no clear, unambiguous statements in Scripture that would allow us to say that with absolute certainty. However, there are some who believe that angels are eternal (since they appear to be present when God began the creation—Job 38:4-7). It is also not uncommon to find those who believe that Satan is also eternal, since there is no mention of his being created, and Jesus said that he existed “from the beginning” (John 8:44, I John 3:8). So, to answer your question: Yes, there are some things/beings which were not created. They are eternal. Among them (for certain) is the Father, the Son, and the Holy Spirit. Whether any other things/beings also fit under this heading is a matter of supposition which—though it may be true—lacks a clear statement of Scripture to prove it. 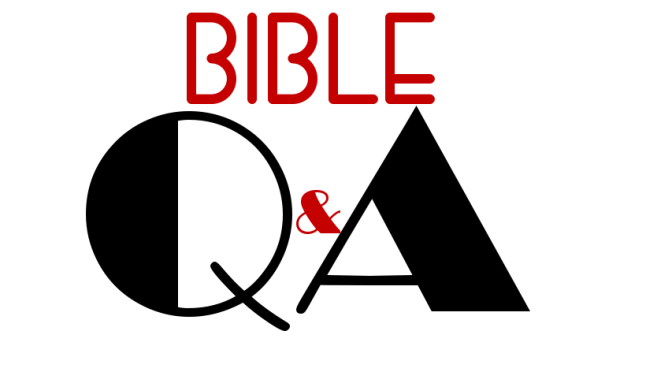 Bible Q&A – What About the Holman Christian Standard Bible? Brother Cobb, I was given a really nice Bible, but it’s the Holman Christian Standard Bible. I’ve never heard of this before. Is it reliable?–Mrs. Cole, An Inmate in Oklahoma. Thanks for that question. It’s great that you want to know about the Bible version you’re reading. In order to get a decent answer, we have to first look at the background of this Bible version. Broadman and Holman is the publishing wing of the Southern Baptist Convention. They were having to pay a lot of money to publish curriculum using the NIV, which is owned by Zondervan Publishing (one of their competitors). There was a revision of the NIV which was forthcoming at the time, which sought to incorporate gender-neutral language (to appease feminists). They sought to buy the rights to the New American Standard Bible (NASB), but to no avail. They wanted a Bible that they could control any and all revisions on. Initially, the plan was to use a Greek text close to that used by the King James and New King James, but when Mr. Farstad passed away, they decided to instead use the Greek text employed by the NIV, American Standard Version, and practically all newer translations. While this may not seem noteworthy, there are some large differences: multiple verses that are found in the KJV and NKJV are absent from these Bibles (Acts 8:37 is one such example). The HCSB includes these verses, but places them in large black brackets to alert the reader that they do not believe those verses belong in the Bible. However, in over 1500 instances, various words and phrases are just missing from the HCSB. One example of a phrase missing from the HCSB is, “and whosoever marries her which is put away commits adultery” from Matthew 19:9. It’s not the leaving out of the verses that causes me the most concern. Most newer translations do that anyway, it’s the extremely arbitrary way they put some parts in brackets as “not part of the original,” but then leave others completely out without even a note. In the original 2004 edition, any words added by the translators (usually for clarity’s sake) were placed in brackets [like this] so the reader would know those words were not in the original Greek. In the 2009 edition, there is nothing to alert the reader to these additions because the brackets have all been removed. So it is possible that they have added words which change the meaning, but you would not be able to tell from just reading their Bible. The KJV and NKJV both place added words in italics to alert the reader that these words have been added. The King James Version translated the name of God (YHVH in Hebrew) as “the LORD” in the Old Testament (except in 4 instances where it is translated “Jehovah”). Most English Bibles follow this same practice. The name of God appears 6,828 times in the Old Testament. The HCSB translated it “Yahweh” (which some believe is a more accurate pronunciation than Jehovah) 75 times in the original edition, but almost 500 times in the revised edition. Micah 5:2 – The KJV says of Christ that His goings forth have been from of old, from everlasting. The HCSB says that Christ’s “ORIGIN is from antiquity, from eternity.” The KJV says that Jesus is eternal; the HCSB says that Jesus had a beginning, an origin. John 1:14, 3:16 – the KJV says Jesus is the only begotten Son of God. The HCSB says that Jesus is the “one and only” Son of God. But the Bible says all Christians are children of God (Galatians 3:26-27). If Jesus is the only Son of God, then we cannot be sons of God. I Samuel 6:19 – the King James says 50,070 people died. The HCSB says that seventy of the city of 50,000 died. No other translation of the Bible agrees with the HCSB in this reading. The HCSB sought to create a conservative translation of the Bible that was readable, but still true to the original. As such, they did not try to translate word-for-word (as does the KJV, NKJV, ASV, and NASB). This version is only slightly more literal than the NIV. This version was translated exclusively for the Southern Baptist convention. This version was paid for by the Southern Baptist Convention. Though some of the Old Testament was translated by other denominations, the New Testament was exclusively translated by Baptists. It is owned, 100%, by the Southern Baptist Convention. Part of the motivation for creating this translation was $$$$. In many instances, it does not give a translation, but their interpretation of the text. The people who oversaw the creation of this new translation sought to create a conservative version that they could own and edit as they see fit. Though it may be easier to read than some other versions, one must be careful in trusting it completely. When translators decide to give their interpretation of God’s word instead of translating it, it stops being God’s word and becomes their own commentary and opinion. Right or wrong, when a religious group—motivated by money—creates their own translation of the Bible, it will be viewed suspiciously by others. This translation is useful for comparative purposes, but this writer would not make it his primary Bible from which to read and study. 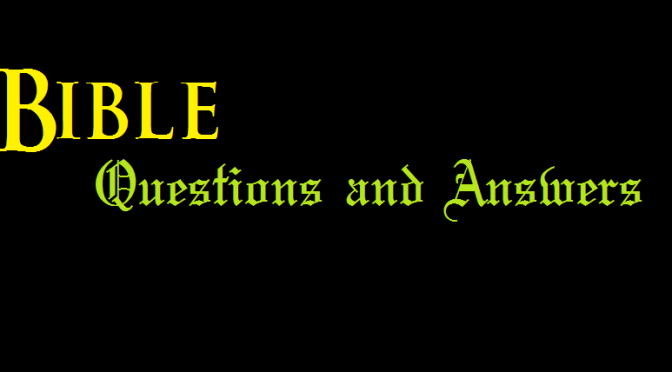 Bible Q&A – God is Very Pitiful? Why does the Bible say that God is “very pitiful”? (James 5:11). Doesn’t “pitiful” mean “pathetic”?—T.P., from Oklahoma. Thanks for the question! As I’m sure you’re aware, over time, some words can change meanings. The word “pitiful” originally meant “full of pity.” That means, you took pity, or compassion on someone’s condition and circumstances, and helped them. On the other side of the coin, if you were that person who was in a horrible situation, you were to be “pitied.” You’ve heard people say, “I don’t want your pity”? They’re saying they don’t want to be viewed as someone who’s having a rough time who’s needing help. So, while it is common for people to use the word “pitiful” as a synonym for “pathetic” or “to be pitied,” that’s not what the word actually means. And that’s not what it meant in James 5:11. Isn’t it great to know that God has a big heart when it comes to His people?